Oops! 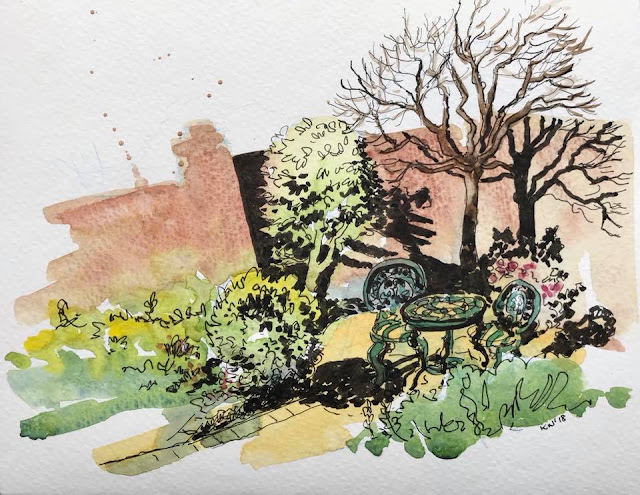 A sudden switch in style brought about by an overly generous flow of ink from my Sailor Fude pen while sketching a corner of the garden. 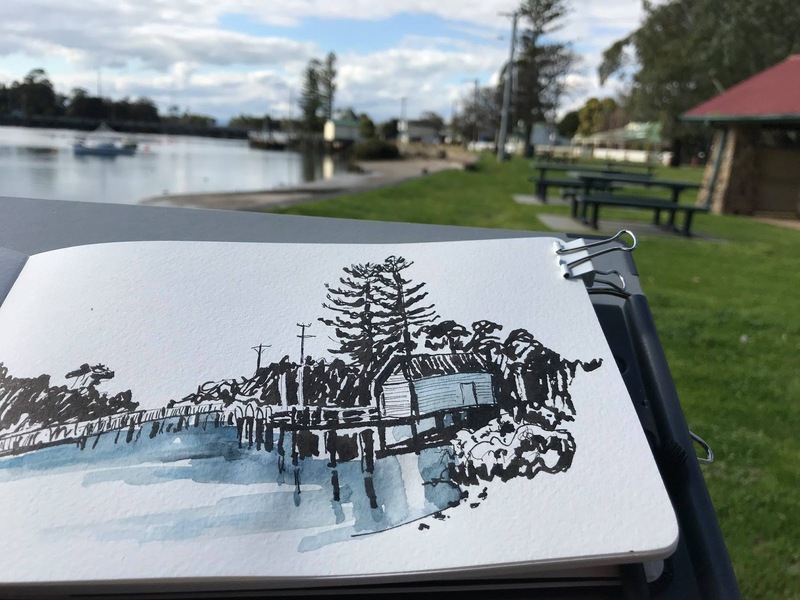 Still experimenting with my Fude pen at Sawtell Inlet, Tooradin. 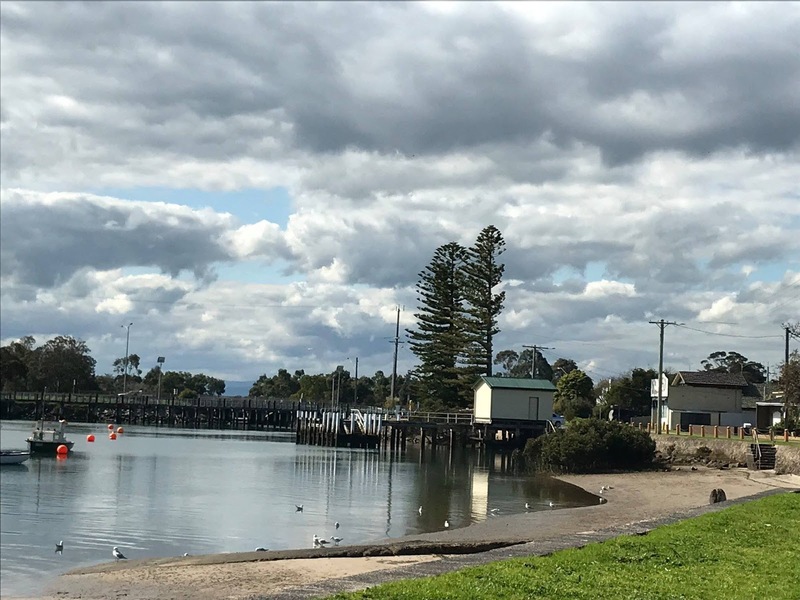 This is a small coastal township at the top of Western Port Bay near Melbourne, Australia. 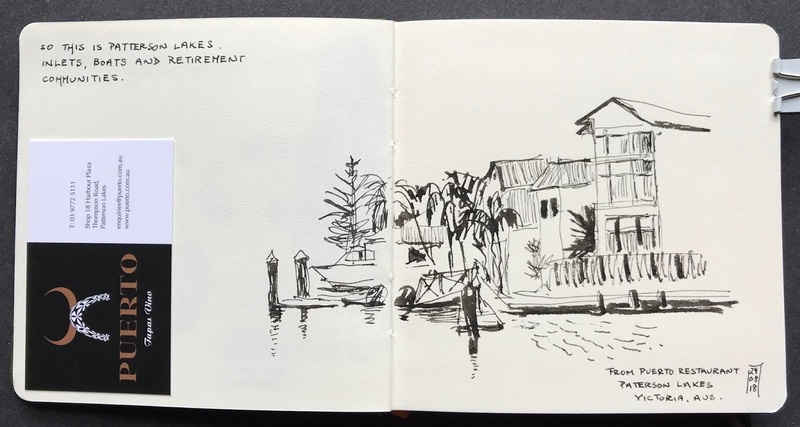 Another sketch, this time at Patterson Lakes – inlets, boats and retirement communities. After such busy traffic and miles of annoying roadworks, the Puerto Restaurant was quite a find. Right on a sunny inlet, it's quietly tucked away at the back of the chaotic Patterson Lakes Shopping Centre. 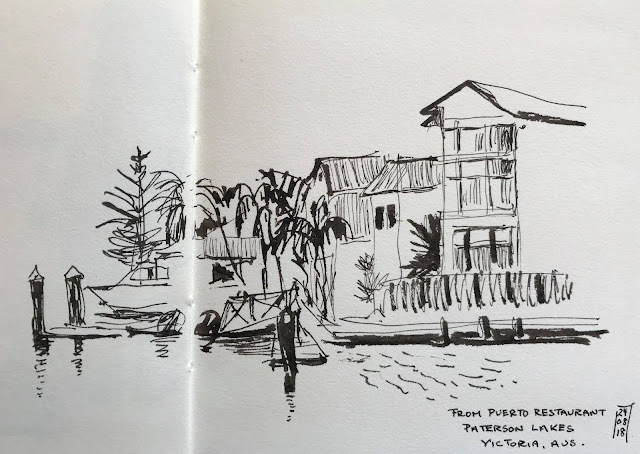 More adventures with a Sailor Fude to come. I rather like the unpredictability of line. #Sailorfude pen, watercolour, #MoleskineWatercolourAlbum, 5x8”, #HandbookJournal 5.5"x5.5"